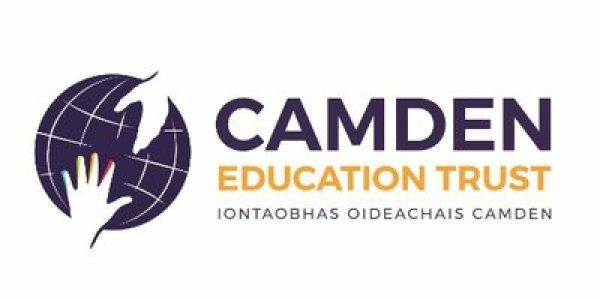 The board of The Camden Trust is composed of seven directors who are also the trustees. Ms Nuala Dalton (Chairperson) and Ms Kate Murray are teachers with extensive experience in Digital Learning and teacher training. Ms Eimear Coogan is also a primary school teacher while Ms Josephine Sepuka is a qualified lawyer . Mr Niall McCormack is a qualified engineer who co founded Colmac Robotics. Mr Declan McAndrew is Vice President of a leading global multinational company with vast experience of IT and Dr. Tom Roche is a third level lecturer in GMIT also with technology and business experience. A graduate of St Patrick’s College of Education and post graduate of Dublin Business School. Currently an Advisor with Professional Development Service for Teachers. Master Trainer for Africa Code Week and has worked in Uganda, Tanzania and Mauritius with the project. Member of Galway Education Centre Management Committee. Tutor of PDST/LERO SCRATCH numeracy course for primary school teachers. Lead facilitator for MHAI (Mental Health Awareness Initiative) an ATECI and Jigsaw collaboration. Previously worked as a facilitator and mentor with National Induction Programme for Teachers (NIPT). Co-ordinator of Khan Academy Maths camps at Galway Education Centre and subsequently acted as an advisor for “Mathletes”/“LearnStorm Ireland” – the national maths competition. Primary school teacher and worked at Milltown National School up to 2017. Introduced technology and coding to the school and with the students won the technology award at Galway Science and Technology Festival three times. Passionate about education and equal opportunity for all. Kate Murray is Principal Teacher in St. Augustine’s National School, Clontuskert. (www.clontuskert.scoilnet.ie ) Kate is especially interested in robotics and coding and mentors both FIRST LEGO League and FIRST LEGO League Junior. Clontuskert is the Pioneer School in Ireland for FLL Junior in Ireland. Kate is a Microsoft Expert Educator Fellow and her project, ‘Flying High, Exploring Aviation’ won first prize at the European Microsoft Innovative Teacher Forum. It eventually placed third at the Worldwide Forum in 2009, out of 20,000 projects. She has achieved Surface Master Trainer status for her work embedding 21st Century skills in a Irish curricular setting. Kate’s love of STEM led to the Aviator of the Future (http://www.aviatorofthefuture.com ) program, a partnership between Galway Education Centre and the National Flight Academy in Pensacola, Florida. She is a Global Learning Ambassador for projects such as Climate Action, (https://www.climate-action.info/ ) Human Differences( http://www.humandifferences.com/ ) and the Innovation Project ( https://www.innovation-project.info/ ) These projects focus on the Global Goals for Sustainable Development. A graduate of engineering in NUI Galway, Niall co-founded Colmac Robotics, an award-winning educational technology company, and worked with educational institutes, industry and philanthropic organisations across Ireland for five years. As part of this role, he has been part of the management team for the SAP FIRST LEGO League Ireland and EA Robot Games Ireland competitions. He currently has returned to NUI Galway to study Medicine. Thomas graduated from the University of Limerick in 1989 completeing a degree in Production Engineering. In the same year he decided to persue a masters degree in an Applied Research Project with Tretorn in Portlaoise in the area of high speed computer vision for high speed industrial component manipulation. In his work here he developed special optical sensors and for data fusion with computer vision for the specialist application. In 1991 (after completing his Masters in Engineering by research) Roche joined Athlone Institute of Technology as a full time lecturer. Late in 1991 he moved to Galway Mayo Institute of Technology where he became course co-coordinator for the degree program in Manufacturing Technology. In 1996 Roche commenced a Ph.D. in the area of design tools and methodologies for computer aided design – particularly relating to design for x practices. Whilst completing this work Roche supervised a significant level of research at the Institute supervising masters students. After completing his Ph.D. in September of 1999 Roche became Head of Department of Mechanical and Industrial Engineering at GMIT. Whilst being in this position he continued in his research activity supervising masters and Ph.D. students both at GMIT and at the National University of Ireland in Galway where he collaborates extensively with Professor Jimmie Browne. Roche stood down from his position as HOD in September of 2001 to pursue a significant research role and to work with large multinational companies such as jaguar Nortel Motorola in the area of software tool development for Design for Environment. Roche is patenting tools resulting from his Ph.D. work and whilst having published extensively in conferences and seminars he plans to publish numerous research papers in journals during 2002. Roche has been invited consultant to AMT Ireland, Kaiste University in Korea and NUI Galway and has completed work for these institutions over the last three years. Eimear graduated from St Patrick’s College Drumcondra with a honours B.Ed degree in 2013, before returning to Galway City to begin her teaching career. Working in Galway Educate Together NS, Eimear is passionate about making learning enjoyable and accessible for all, and is particularly interested in providing opportunities for skills-based learning in the classroom. Eimear worked as part of a small group of teachers to coordinate and run the MATHletes Ireland Provincial and National competitions in association with Khan Academy, before working to further develop the initiative, under the new name of Learnstorm Ireland. Declan McAndrew is Vice President of Connectivity and serves as a member of the Thermo King Executive Leadership Team. Declan leads a multi-disciplinary international organization comprising of product managers, engineering professionals, data scientists, IT professionals, and customer support professionals delivering products and services that are essential to the efficient operation of Thermo King customers in the transport business. Declan joined Ingersoll Rand in 2015 during the acquisition of Celtrak Ltd, a leading provider of telematics and Fleet Management solutions, where he held the position of Chief Executive Officer. During his time at Celtrak he held various roles of increasing responsibility including Engineering Management, Chief Technology Officer and Chief Operating Officer. Declan also held various technical roles at Apple in Cupertino, California and at Nortel Networks mobile telecommunications in Galway, Ireland. Declan is a strong advocate for the promotion of Science, Technology, Engineering and Mathematics. At Celtrak, he established a student work experience program encouraging Transition year students in Ireland to explore career paths in computer science and electronic engineering. He has also mentored teams in the First Lego League and the CanSat Ireland competition. Declan holds a bachelor’s degree in electronic engineering from the University of Limerick. Josephine Sepeku is a graduate of integrated Law & Sharia, Class of 2016, and currently pursuing an MA in Gender Rights and Globalization in National University of Ireland Galway (NUIG) 2018-2019. She is also interning with Global Women’s Studies to assist in the organisation of events for the 16 Days of Activism to End Gender-Based Violence at NUI Galway (2018). She is a member at Women Action Towards Entrepreneurship Development (WATED) and Tanzania Women Lawyers Association (TAWLA). She was a Business Development Assistant & Executive Assistant to the CEO of Dar Teknohama Business Incubator (DTBi) an ICT Hub hosted at the Commission for Science &Technology, the only incubator in the Country. Josephine also served as a coordinator of the Airtel Fursa Lab hosted at the Kijitonyama Primary school and a Tanzanian Africa Code week Ambassador. In addition to that, she was also a volunteer at the Tanzania Women Lawyers Association (TAWLA) in the previous years. She also worked as a project officer of the Drone project of Delivery of medicines and blood samples from Ukerewe Island to Mwanza (Bugando Hospital, & Medical Department Stores) in Tanzania which was a project between DHL, GIZ (under the German Ministry for Economical Corporation Development) and DTBi. Josephine has been actively volunteering in WATED activities especially those involving women and children rights. Not only that, Josephine volunteered in a women land rights project in rural Tanzania. In collaboration with United Nations One of Tanzania, Miss Josephine assisted in coordinating a training for civil society organizations on widening the Democratic Space in Dar es Salaam. This training was then followed by a higher-level meeting in creating a common space for civil society organisation in Human Rights which is also assisted in. she has represented the organisation in the organising committee of the 16 Days of Activism in 2016, from that she was also given a chance to be one of the keynote speakers representing youth on the 1st National Women’s Rights Forum, in Dar es Salaam November 2016. Furthermore, Josephine has one the Coordinators for the Africa Code Week Training of more than 50 Primary and Secondary Teachers in ICT (Computer literacy & Scratch program), which was a program collaboration of SAP Ireland and Galway Education Centre in Ireland, DTBi and CoICT (College of Information and Communication Technologies- University of Dar es Salaam) June 2017. In addition to that, DTBi in collaboration with the African Transformative Innovation Partners (ATIP) based in the US and Airtel Tanzania, Josephine had assisted in a coordinating the Robotics (Lego & Arduino) Summer camp of children of grade 4-7.